L8 Living Sustainably: Are you a family looking to reduce your energy bills? 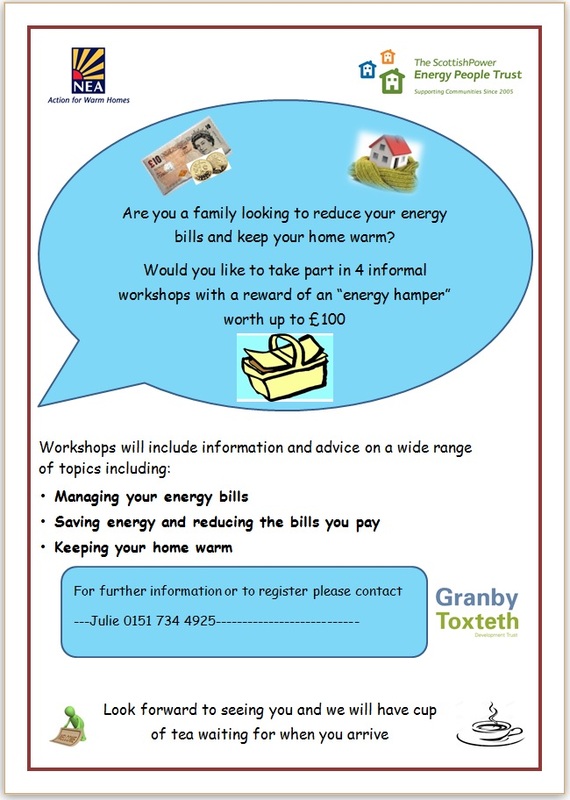 Are you a family looking to reduce your energy bills? We are working with the NEA (National Energy Action) to deliver a project to help local families reduce their energy bills. We are ideally looking for families to get involved from the L15, L7 or L8 postcode areas. Could you be one of our families? If you are interested, get in touch with Julie on 0151 734 4925.